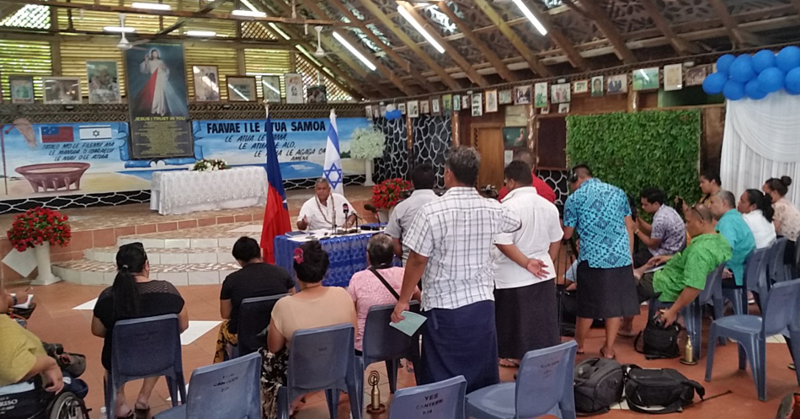 Caretaker Prime Minister, Tuilaepa Sa’ilele Malielegaoi has applauded the vision and courage of the Apia Harvest Centre Church in its decision to invest in broadening the Biblical education of its members and the people of Samoa. 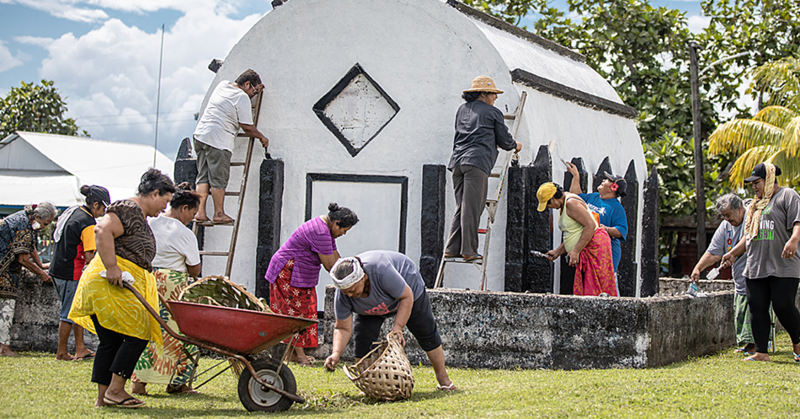 Tuilaepa offered his congratulations to the Church’s Senior Pastor, Fa’afetai and wife, Lottie Fata, and the church’s administration on Saturday. 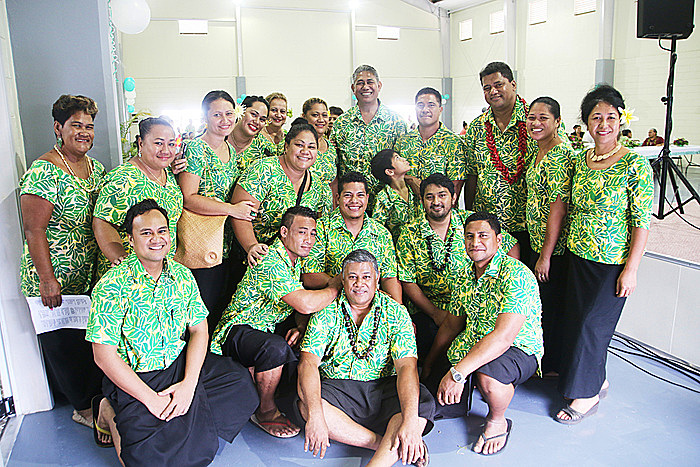 The occasion was the grand opening of the Church’s new hall and Bible College facilities, including state-of-the-art learning materials at Togafu’afu’a. As the keynote speaker, Tuilaepa highlighted the significance of education and how it contributes to the development of Samoa. The project cost $890,000. Built by church member Muliagatele William Caffarelli, of VW Construction, the project took 11 months to complete. 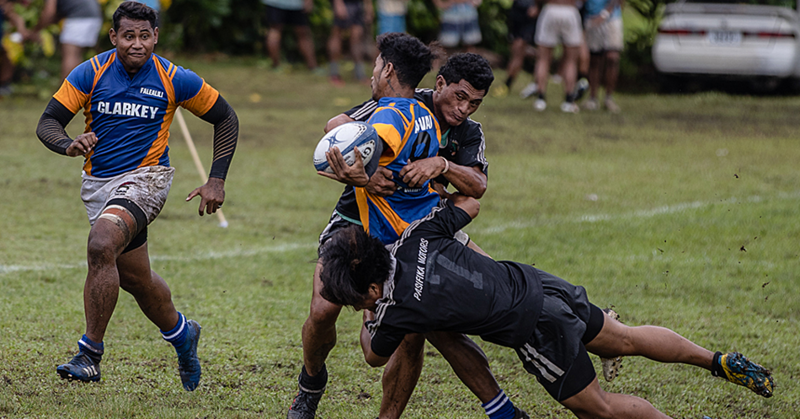 The facilities were dedicated by Reverend Dr. Tavita Pagaialii, Assistant Superintendent for the Assemblies of God, Samoa and the main sermon delivered by Reverend Joe Amosa, General Superintendent for the Assemblies of God, Samoa. The hall and Bible College facilities opening coincides with the start of the academic year yesterday. “We thank God for His faithfulness in bringing this project to completion,” said Rev. Fata. “We also acknowledge the faithfulness and commitment of all our people in the church to God’s work, which this new hall and Bible college facilities are a testament of.” The Bible College is inter-denominational and is open to anyone who wants to deepen their understanding of the Bible and get to know God more.